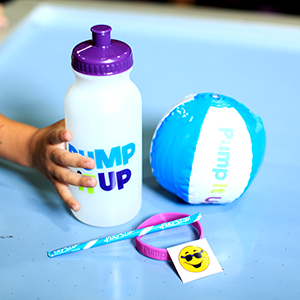 Pump It Up just got a little more fun!!! 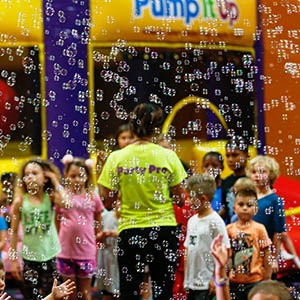 Kid's love bubbles and now they can play in Arena B while being showered with magical bubbles!! All for only $20.00, ask for more information today!! Ask about our special Character Visits for only $75.00. Our fun friends will spend 30 minutes in your party; joining your group in Arena B with a surprise entrance and posing for pictures. Then spend time in the party room for more photos & signing the birthday song! 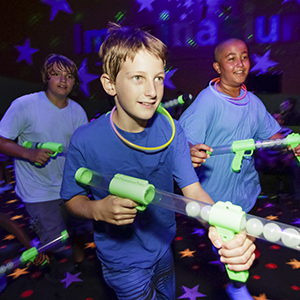 Rated A for AWESOME—Make your next party an out of this world experience with Glow Wars! 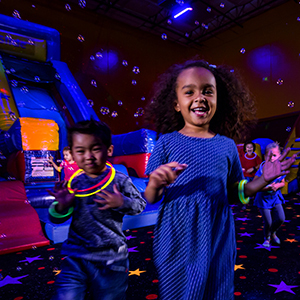 Your party will enjoy our Special Effect Lighting in Arena B, each child will receive a glow necklace and the Birthday Child will get a glow surprise!! Add some sparkle to your party! Glitter Tattoos are fun, temporary and memorable! An attendant will join your group in the Party Room to personally apply the Glitter Tattoos on the kids. Kids can choose their Tattoo or you can pre-select options! Great for birthdays, team parties, troop parties and fundraisers!